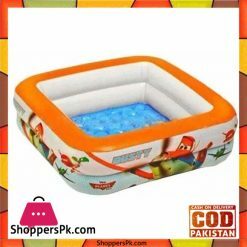 Children’s pool Intex “Little Captain” 107x102x99 57426 – an excellent pool for children from 1 year to 3 years. Children’s pool Intex “Little Captain” 107x102x99 57426 with a soft inflatable floor and built-in inflatable canopy. The inflatable bottom, low and wide sides, will warn against traumas of the child during game. In this pool your baby will have a wonderful time. 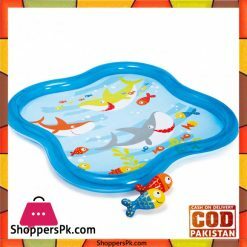 Children’s pool Intex “Little Captain” 107x102x99 57426 is made of strong vinyl. Currently, the pools have become very popular, because the weather in Ukraine in the summer is very hot. 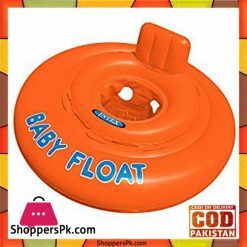 Therefore, if you do not have the opportunity to stay near the water, buy an inflatable pool and you will be very pleased. Your children can swim with pleasure with you, this in turn will bring them a lot of positive emotions. The Intex trading brand has long won grateful customers with its diverse assortment of goods of this kind. Different colors and a variety of models of swimming pools will suit any buyer. Inflatable pools are made of durable material and reliable enough. 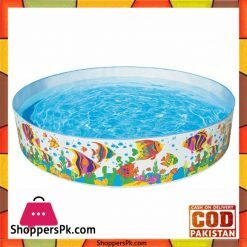 Buy and order a swimming pool can be inexpensive in our online store “Karuselka.” You can order the order by phones that are listed on the company’s website. We ship the goods to all regions of Ukraine. The easiest way to ensure an active rest at a dacha is to install a children’s sports complex, a swing, a sandbox on the private plot of your country house. On such a playground, a small fidget can disappear for hours, playing in the fresh air and not interfering with mom and grandmother to do household chores. In order for a child to grow up healthy and cheerful, one must allow him to spend more time in the air. For this purpose, you can come in handy for children’s cottages and hills, houses and a sandbox, swings and other structures. All these items have a great active rest for the child, they will attract even those children who do not like to play on the street. With the help of our online store you can buy a children’s house, sandboxes for every taste. At the dacha or in the courtyard of your house you can arrange for your baby a real playground. Sandbox, slide and swing – favorite entertainment for the child. If you give your children their own swings or a sandbox, slide and trampoline will be installed for them, your children will be very happy and grateful to you. Undoubtedly, its sandbox, a slide – it’s a wonderful gift to any child. Children love to build sandcastles and other figures.